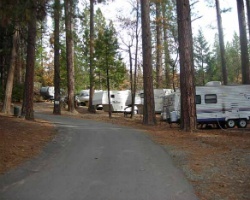 For over 25 years, Bass Lake RV Resort has been a favorite for campers from all around the world. 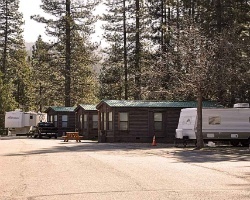 Located at the south entrance to Yosemite National Park in California and next to Bass Lake is the beautiful Bass Lake Recreational 5 star Resort. Campers are only walking distance from Bass Lake and Pines Village where you can swim, boat, ski and fish! The Bass Lake area is located at 3,500 feet which is above the heat of California's Central Valley and low enough to enjoy four seasons without the heavy snowfall found in the higher mountains. Safe and relaxing family friendly campground! Floating usage! Inquire for more details! Family friendly campground membership! Enjoy floating usage! Inquire for more details!